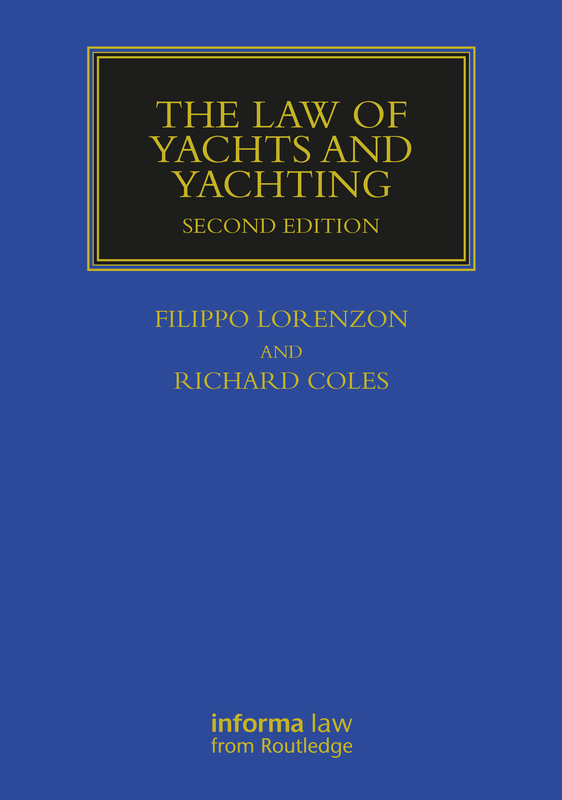 Now it its second edition, The Law of Yachts and Yachting is a comprehensive treatise on the law relating to yachts and provides its readers with a thorough analysis of maritime law as relevant to the superyacht sector. Written by a team of leading yachting practitioners and researchers, it covers the legal issues arising during the life of a yacht. The book is written for the legal practitioner, yacht-broker and manager concerned with the operation of professionally crewed yachts including financing, registration, chartering, insurance, compliance and casualty management. The second edition will cover important changes in the superyacht industry such as: the new MYBA Charter Form 2017, the Large Yacht Code (LY3) and the Passenger Yacht Code, both shortly to be consolidated into the new REG-YC, and the coming into force of the Maritime Labour Convention 2006, to name just a few. Filippo Lorenzon is Professor of Maritime and Commercial Law in the School of Law at the University of Southampton. He is qualified as an Avvocato in Italy and as a Solicitor in England and Wales and is a Member of the Italian and British Maritime Law Associations, the European Maritime Law Association (EMLO) and the International Bar Association (IBA). He is also a consultant with Campbell Johnston Clark in London. Richard Coles is a Senior Research Fellow at the Institute of Maritime Law and a Consultant to Gateley Plc, a national commercial law firm.